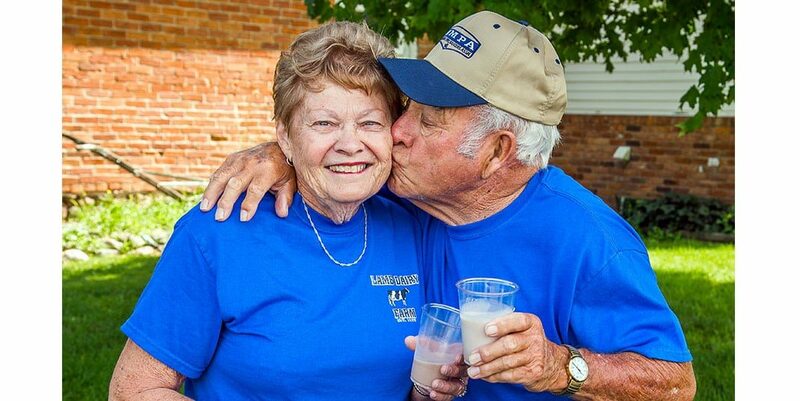 Scott Lamb is a fourth-generation dairy farmer and the co-owner of Lamb Dairy Farm where they care for 300 cows. 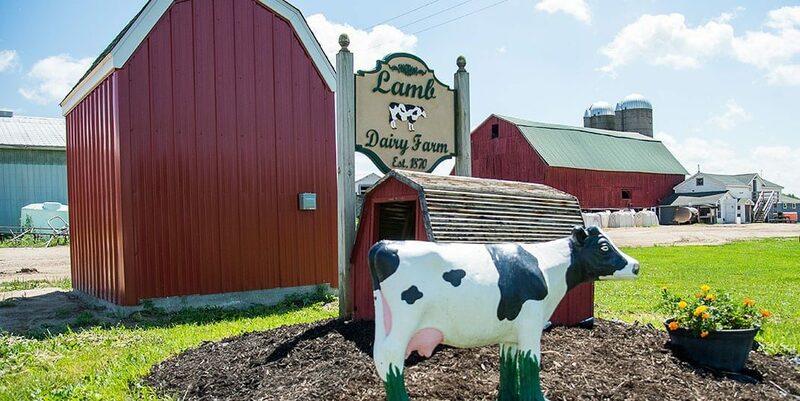 Lamb Dairy Farm was established in 1870 by Scott’s great-grandfather. Today, Scott and his wife Kristie farm with Scott’s parents, Max and Phyllis. 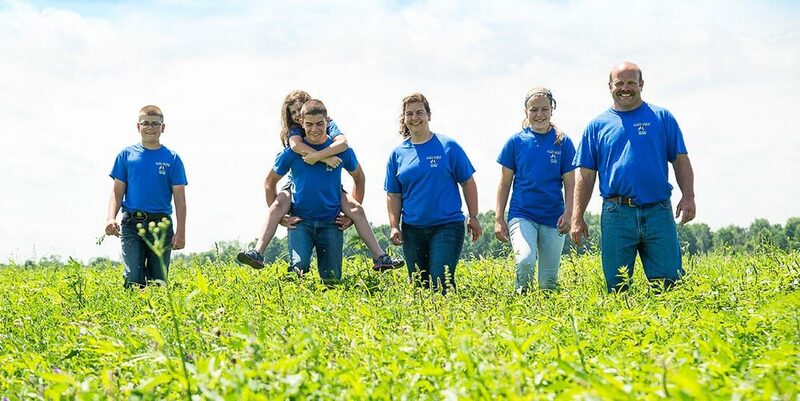 Scott and Kristie have four children, all of whom are active on the farm. On the farm, there are three generations working together. 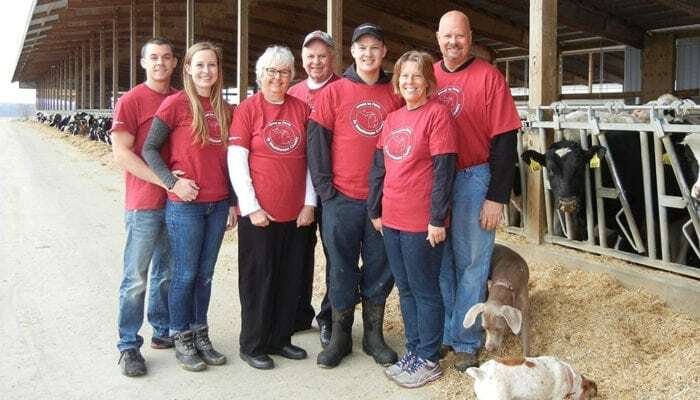 The Lamb family believes in supporting the community and taking a leadership role to help guide the future of the dairy community. 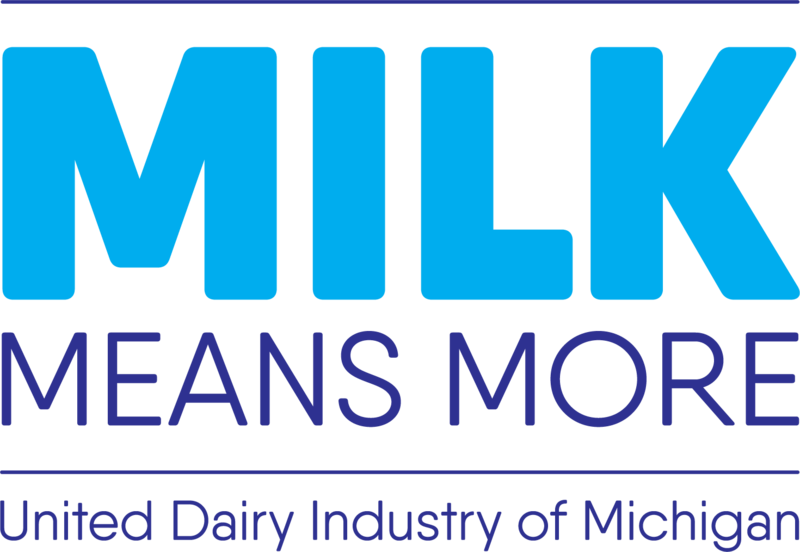 Scott is on the board of directors for the farm’s milk cooperative. 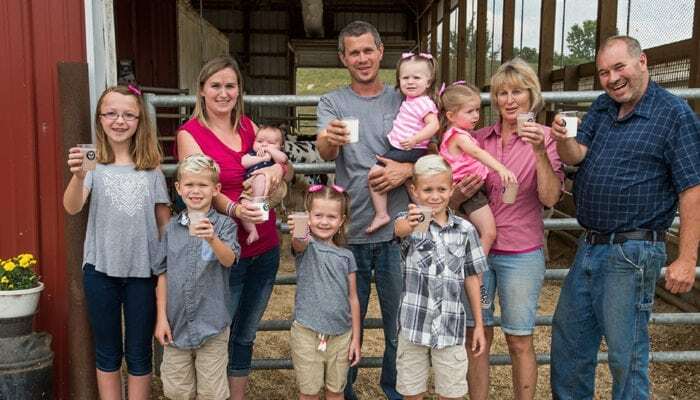 They also employ as many local community members as they can on their farm, from their veterinarian to their dairy nutritionist, to their large equipment dealer. 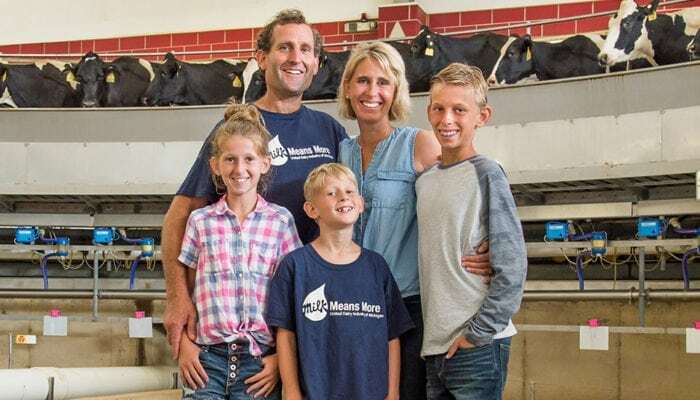 In addition to caring for their cows, the family also cares for the environment, especially since they are about five miles from Lake Huron. They live on the land they farm and want to pass down that land for generations to come. On Lamb Dairy Farm, they recycle water, fertilize their crops with the cows’ manure and have practices in place to minimize soil erosion. For the Lamb family, the cows come first. On Christmas morning, no one can open gifts until morning chores are done. The youngest member of the Lamb family was featured in a video that highlighted dairy farm life to elementary students. Watch the video where she talks about her cows and her favorite dairy foods. 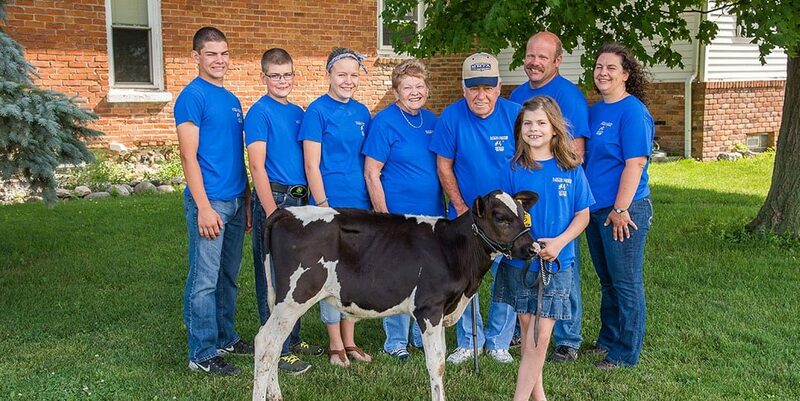 All four of the Lamb children show dairy cows at their local fairs in the summer.